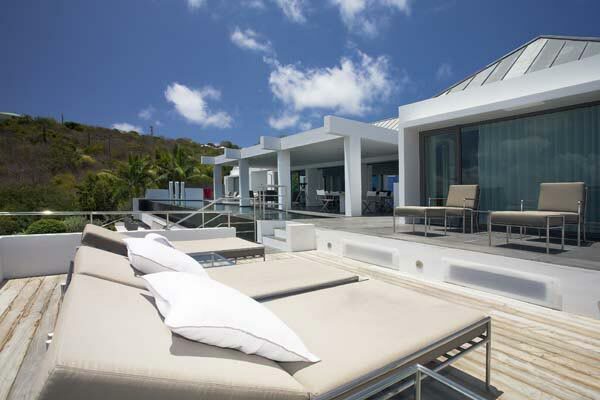 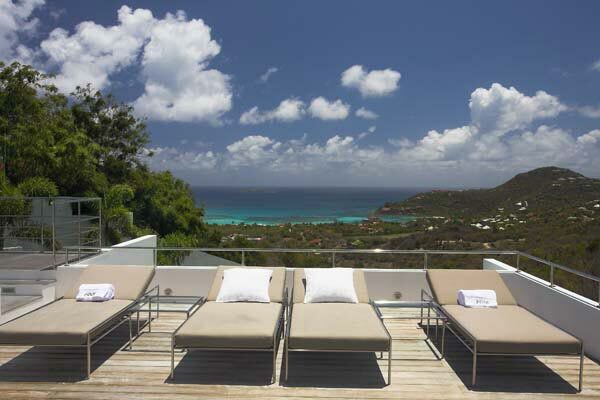 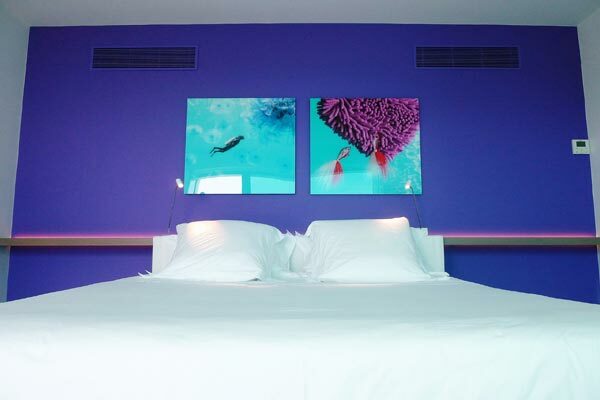 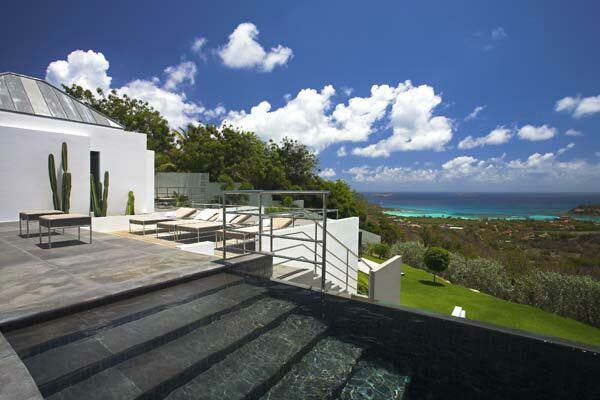 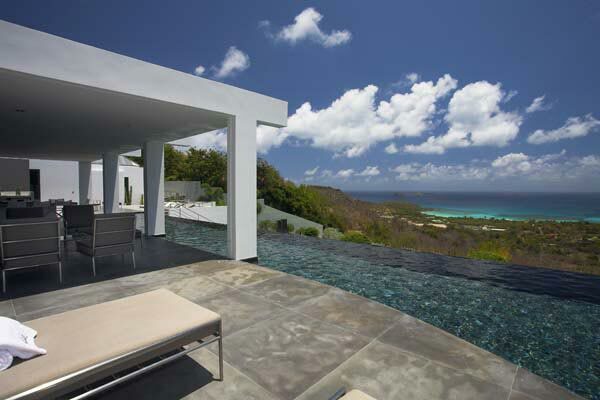 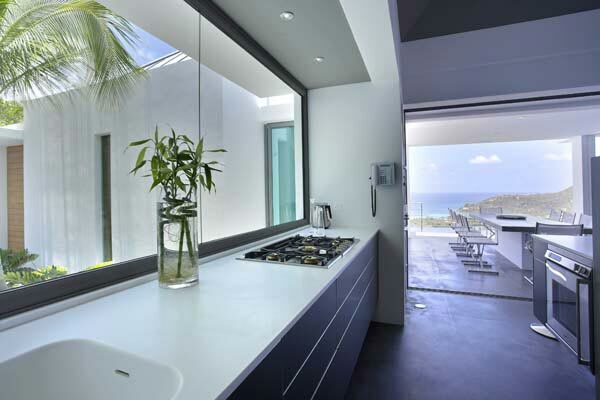 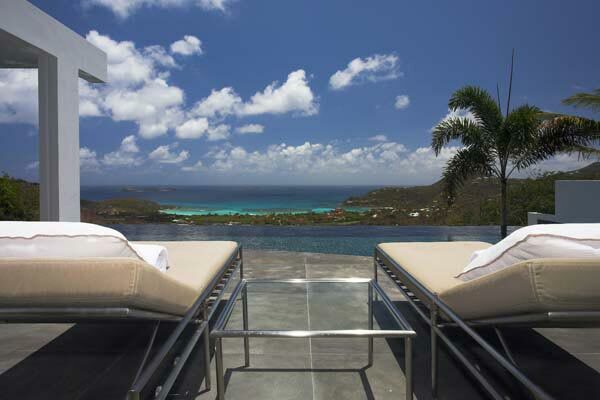 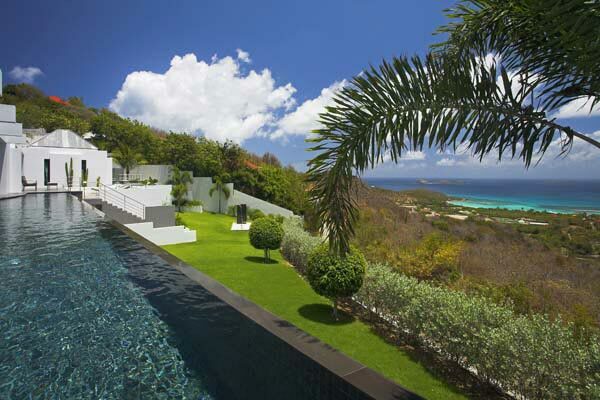 The great appeal of most locations in the neighborhood of Lurin lies in the area's vistas of St. Barth's spectacular sunsets, combined with the ease of being just a five-minute drive to Gustavia by the convenient back into town. 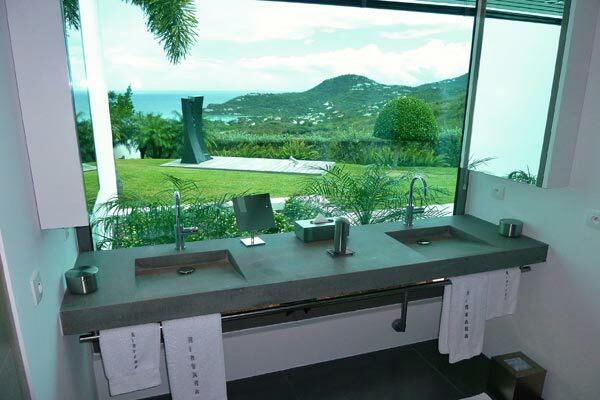 These hills look out south, offering views over Shell Beach, the harbor, St. Maarten in the distance and sometimes the bay of St. Jean. 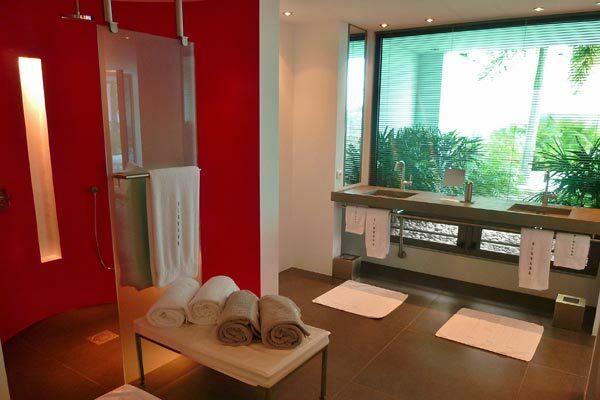 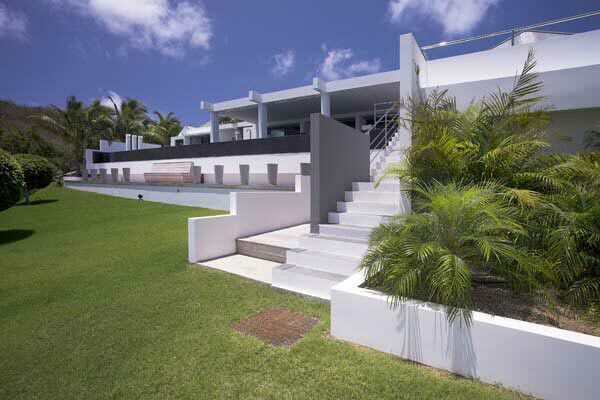 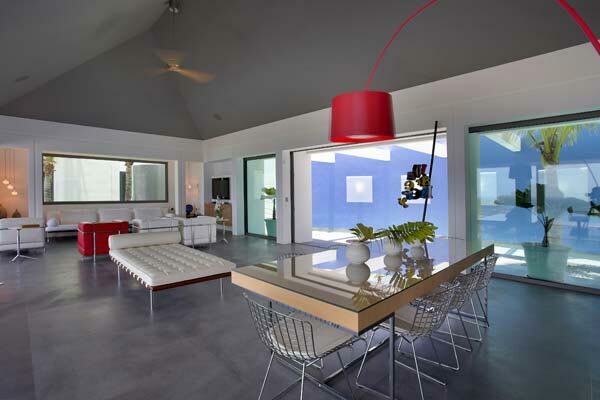 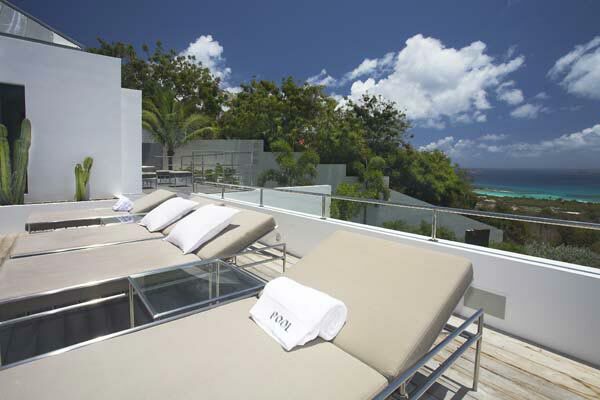 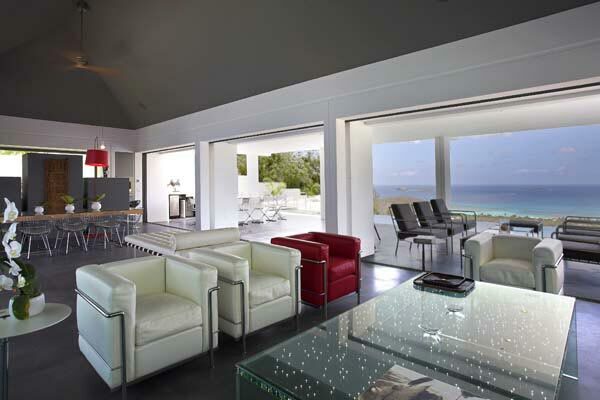 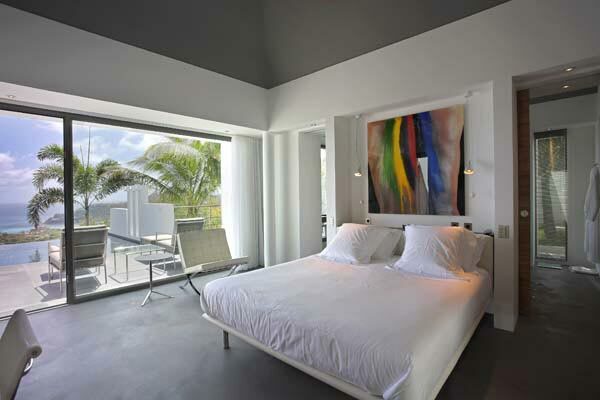 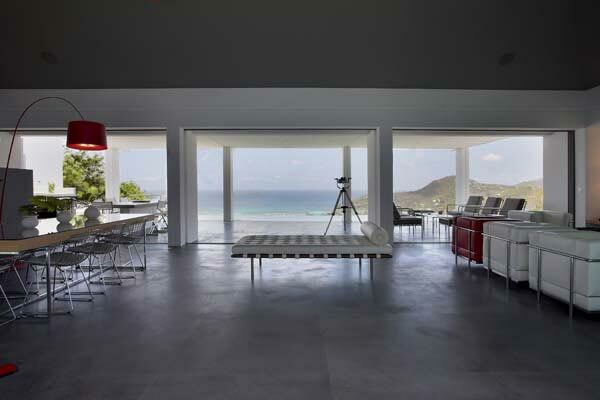 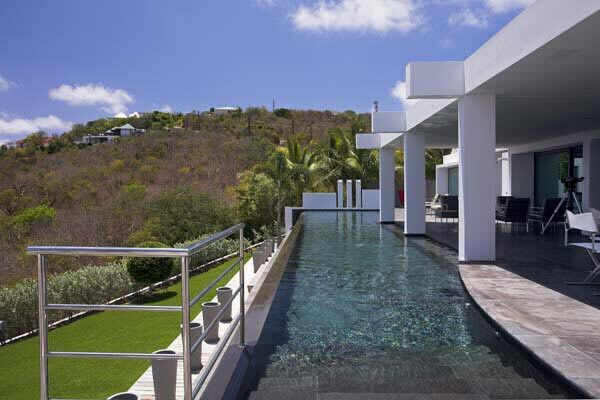 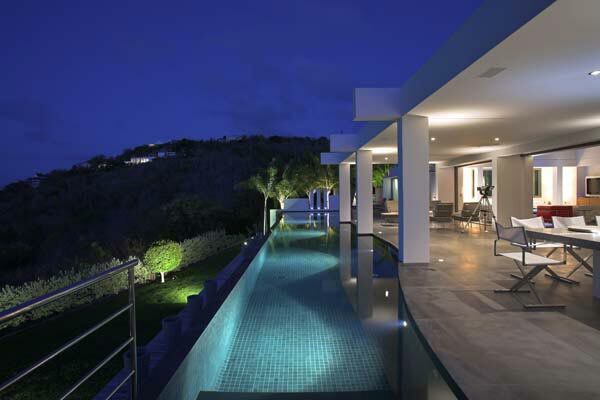 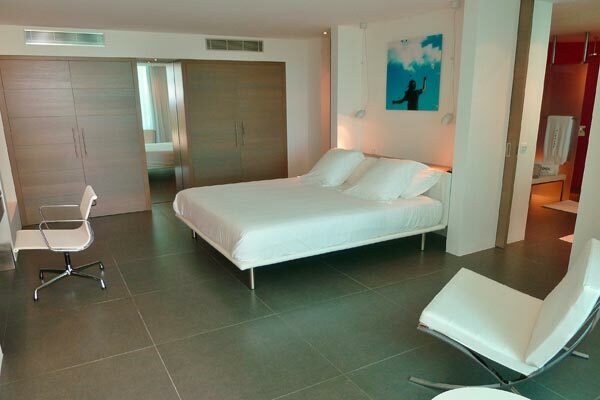 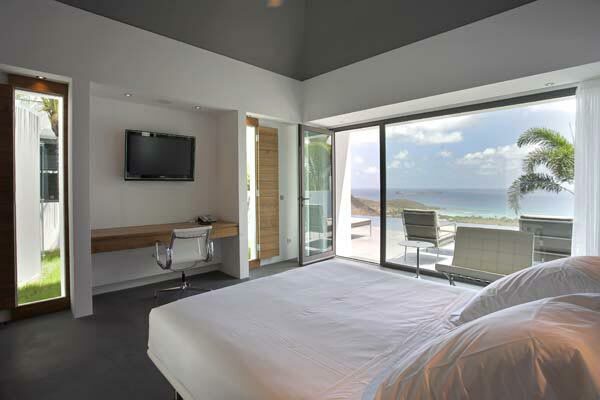 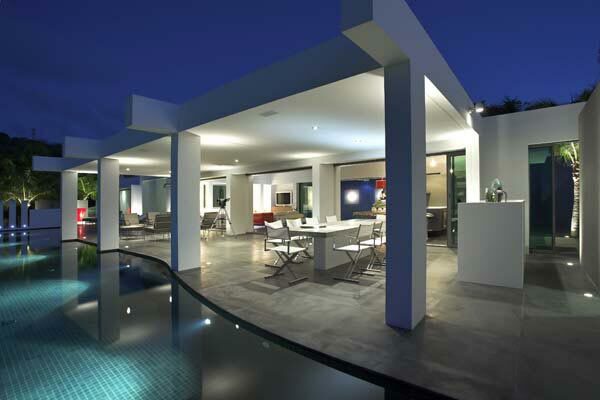 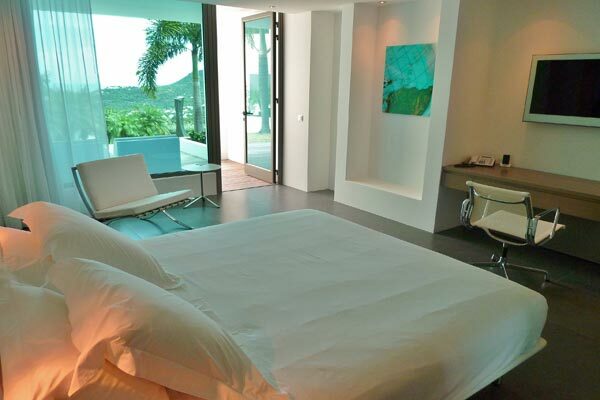 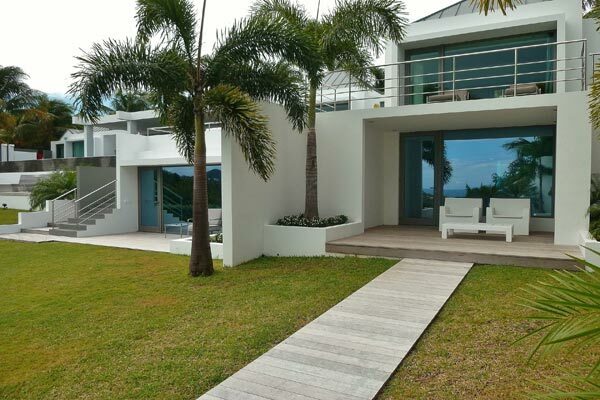 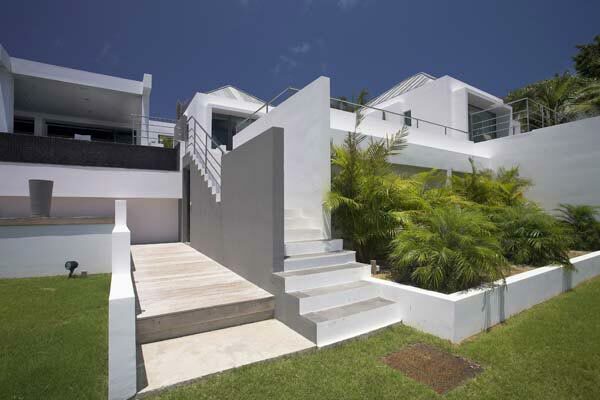 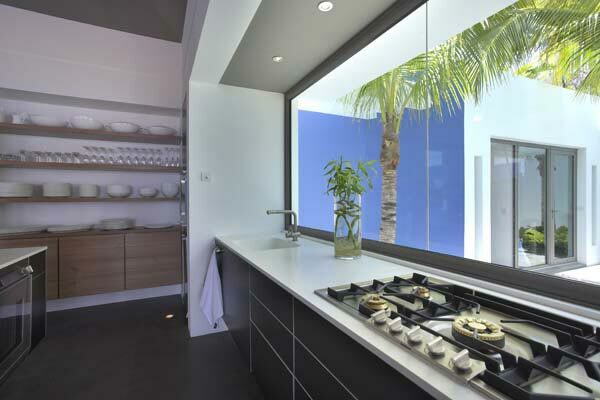 This contemporary villa is truly exceptional. 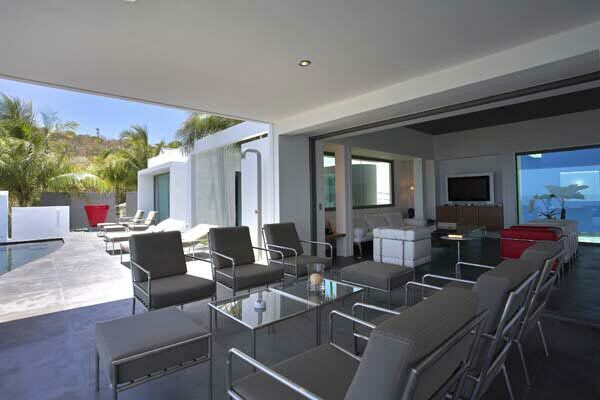 The modern entrance, which is made of concrete walls and features small ponds, leads you to a large minimalist living room overlooking the bay. 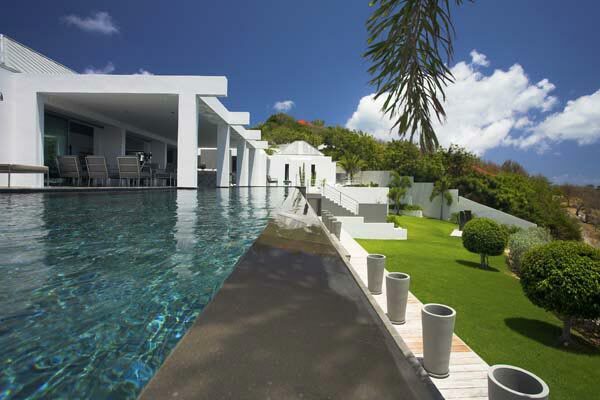 Perched high on the hillside, villa Nirvana is constantly blessed by a nice ocean breeze and is well-exposed to the sun nearly all day long. 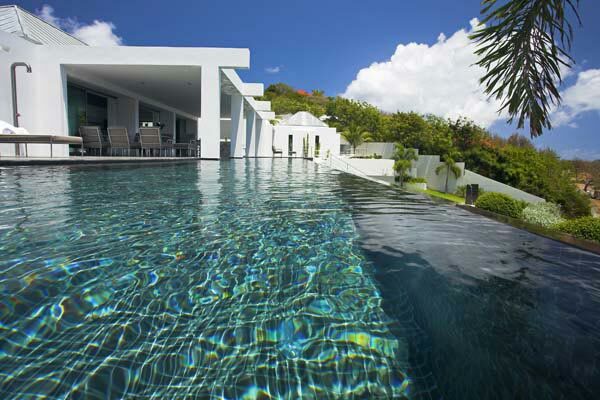 The infinity lap pool is ideal for swimmers.